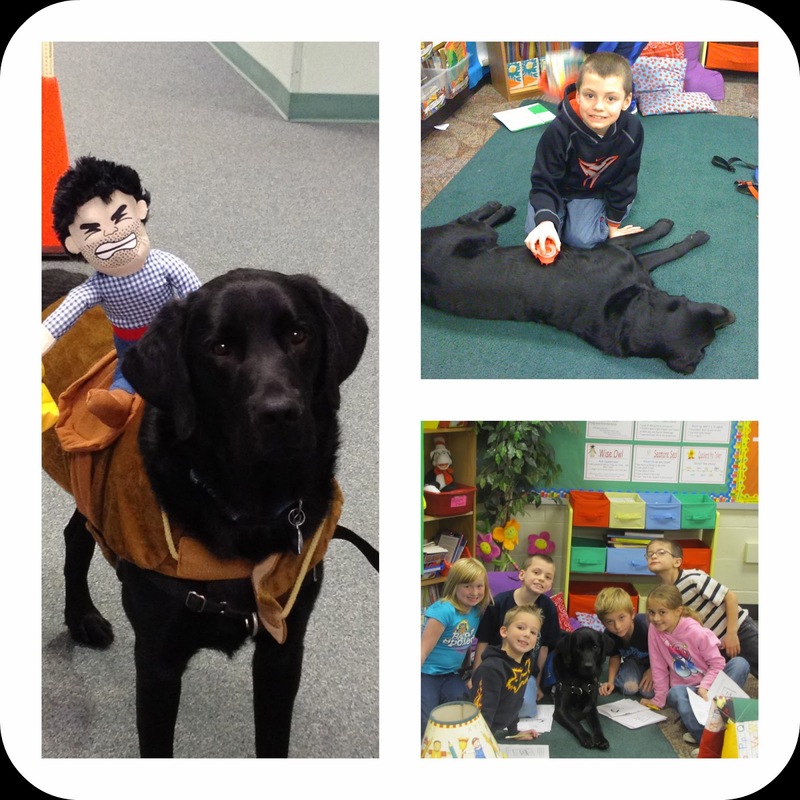 a Class*y Collaboration: Service Dogs in the Classroom - Meet Allen!! Which one is Allen? He's the black, furry one in the middle of the picture! That's right - that's a DOG in SCHOOL!!! Our school has been SO lucky to have had Allen now for the last 4 years. 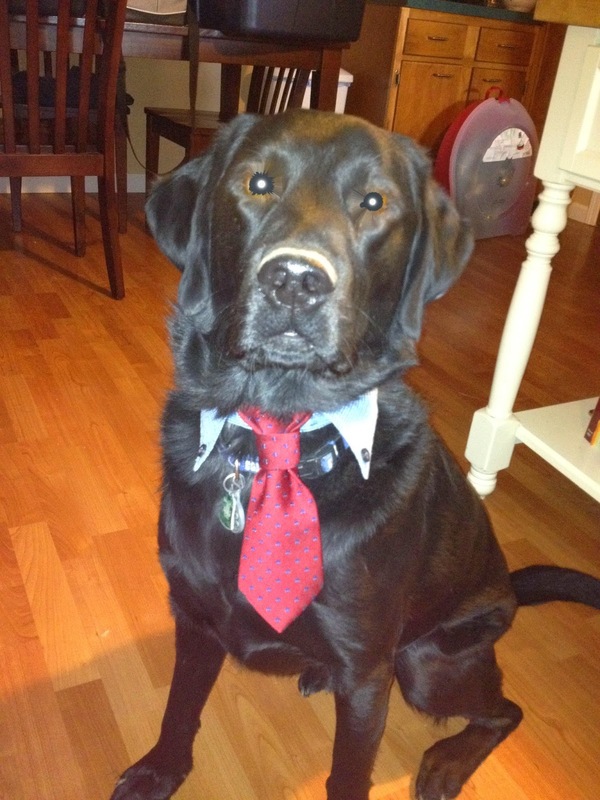 Allen is a black lab/golden retriever mix and is a full service dog. 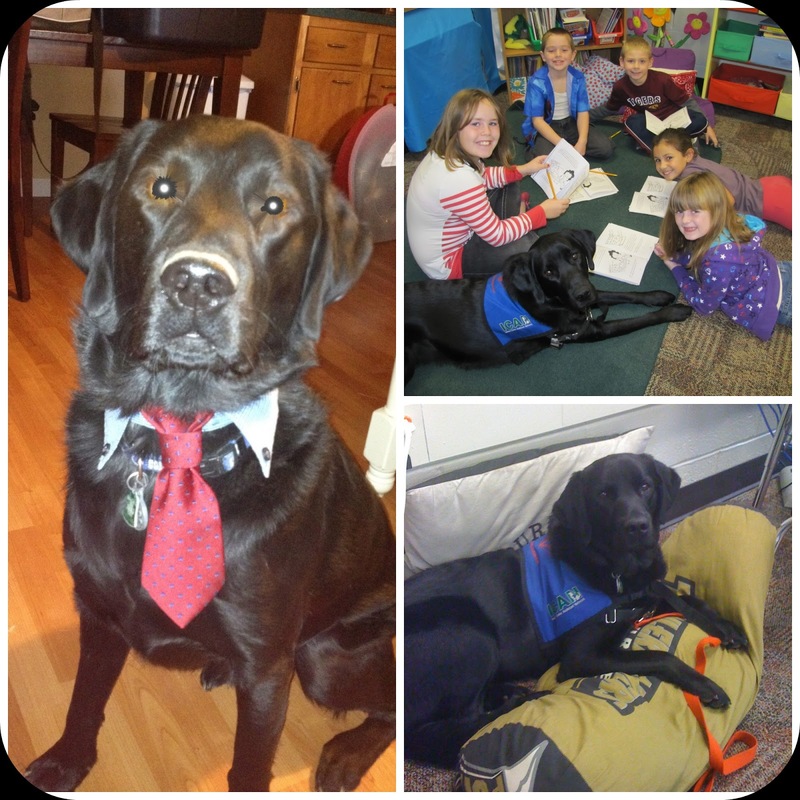 My husband student taught at a school that had a service dog working in his building. So he gave me the idea and I took it to my principal. Because of the type of population we have in our school (high poverty, high number of IEP's and behavior, etc) the principal thought it was a fantastic idea. After getting it approved through the superintendent and school board we were finally able to apply for a service dog. The service we applied through is an Indiana based service called ICAN - Indiana Canine Assistance Network. The application process included an application, letter of intent, and an interview. They told us it could take up to 2 years to be paired with and have an available dog - which we were fine with. However, 3 months later we got the call!! There was a large group of graduating dogs and they had one they thought would be a good match for us! Can you tell?? The kids LOVE him! Allen has a lot of different duties throughout the day. He has a weekly schedule where he visits each classroom at least once a week for 30-60 minutes. The teachers use him in a variety of different ways. During whole group instruction, Allen can sit with students who have ADHD to help them focus. 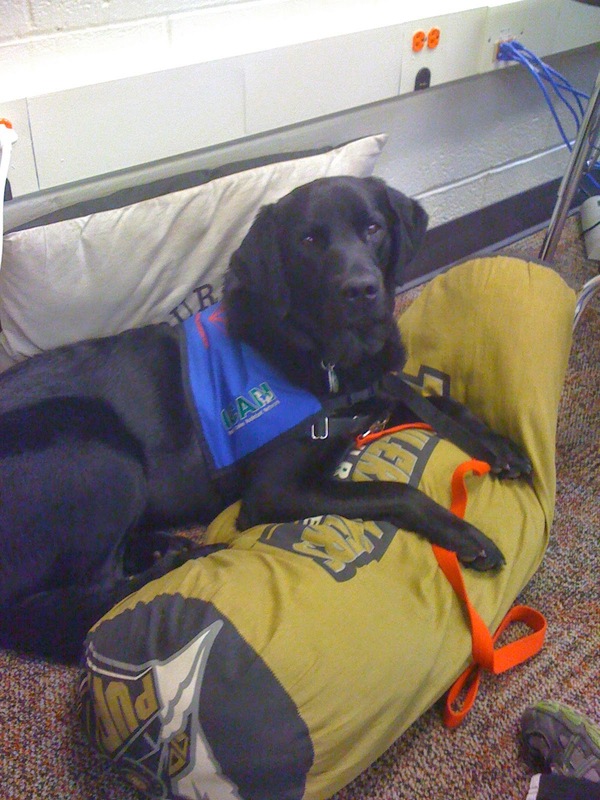 He can sit with students who have test anxiety to keep them calm. He can motivate the class's participation in a lesson by giving the kids a Cheerio (those are his treats during the day) when they participate or get an answer right. They can use him in small groups to keep the groups quiet and on task. They can also use him for behavior rewards - Kids can earn one on one time with him to read, play fetch, take a walk around the school, or just cuddle. He also works closely with the special education teachers in the building. He has done TREMENDOUS things with some specific kids throughout the past few years. Students with Autism really respond well to him and can visit him throughout the day to help keep their day positive and focused. The principal uses him for a variety of reasons and the nurse has even used him to keep kids calm when they're hurt. He has truly been an amazing resource and friend to everyone who passes through the walls of our school. And not just that - for the past 4 years I've gotten to know one of the best dogs anyone could wish for. He has truly become one of my best friends. I spend more time with him than I do my husband or kids combined. He's my right hand....dog! 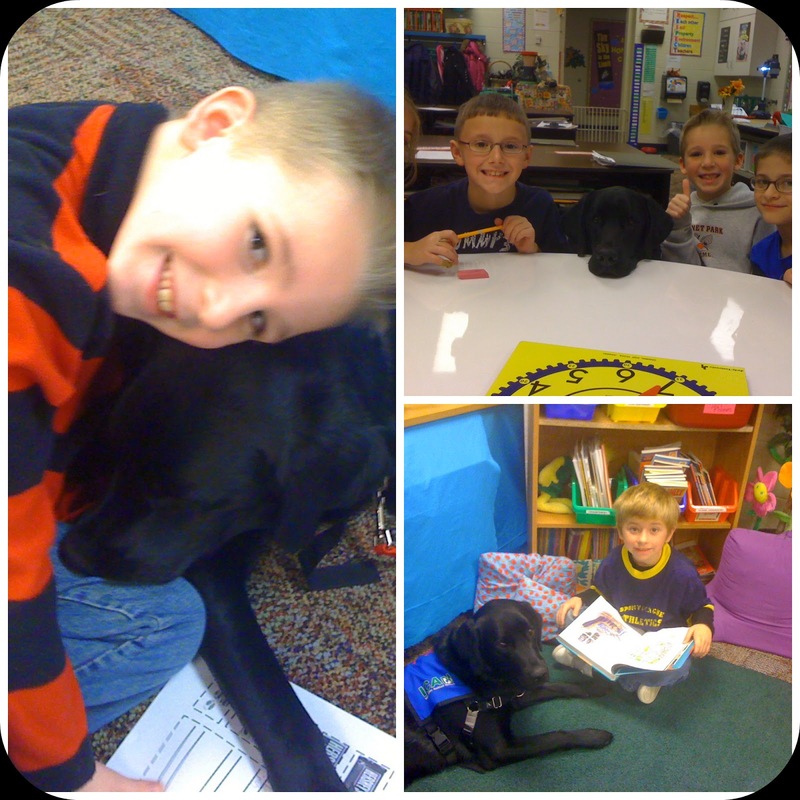 I know our school is one of a kind, but the 'trend' of having a service dog in school is on the rise. Check out services in your area if you're interested. Let me know if you have any questions and I'd be happy to help!! I hope you enjoyed getting to know Allen! What a terrific thing! My oldest son just moved into his first apartment (no big dogs). So, he "donated" his dog to be trained as a service dog. Really great that these animals are being loved so! I have always been interested in having a service dog at our school......and have even contemplated training our dog to be one. 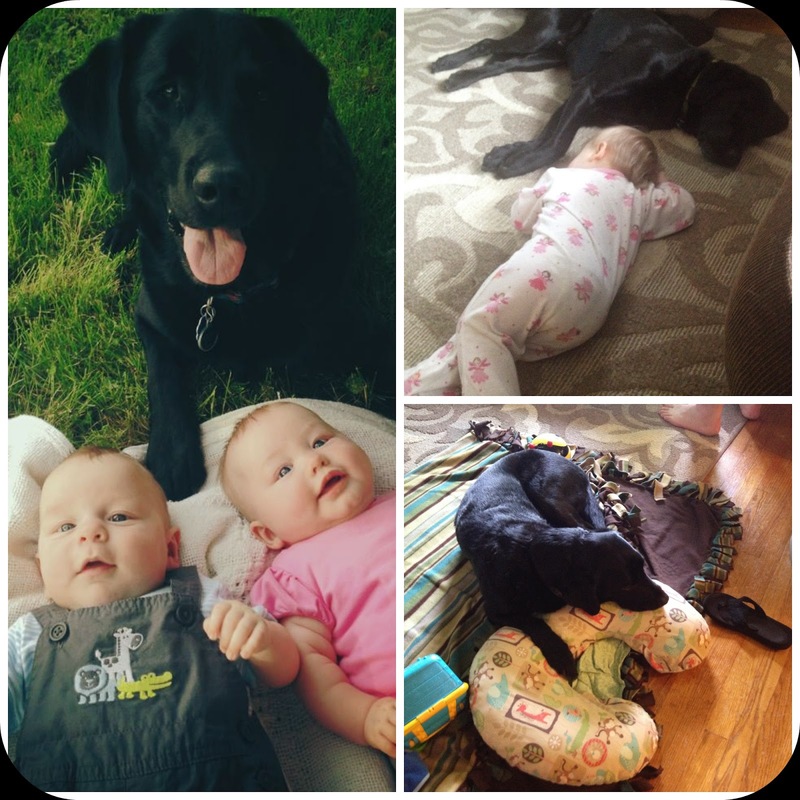 She is a chocolate lab and is soooooo amazing with people and kids. What sort of presentation did you put together for the board/principal?